It may sound like a Hallmark movie, but anyone who’s experienced Christmas in Adolescence with an adolescent knows the mushy, feel-good happy ending isn’t likely to happen. For some, just having a non-UNhappy ending would be nice. If you’ve got the teen who hugs herself and gushes, “I just love Christmas!” then you’re among the blessed. But some teens are more like my son at 16 who complained about listening to Christmas music, refused to part with a penny of his own money for gifts, and on Christmas morning seemed uninterested in any of his presents (which had been carefully chosen by his loving mother). How can you keep moody teens from ruining the holiday for everyone else? First off, you can’t change the attitude. If they’re choosing to be difficult, they’re going to hang on with all their might, leaving you two options: ignore the prickliness and pretend they’re happy, or excuse them from the festivities. A direct confrontation would only make everyone tense. Secondly, have a little compassion. It’s a transitional time; middle school often marks a big change in how Christmas (often disguised as Winter) is celebrated at school. The magic and wonder of childhood Christmases is waning, and they’re trying to figure out what’s considered too childish at their age and what’s still acceptable. One way to encourage a little Christmas spirit is to steer their focus away from themselves. Get them involved in baking, wrapping (messy packages are okay), addressing Christmas cards, or being helpful to someone in need. Secret Santa deliveries to neighbors or relatives can give them warm feelings while teaching the virtue of generosity. 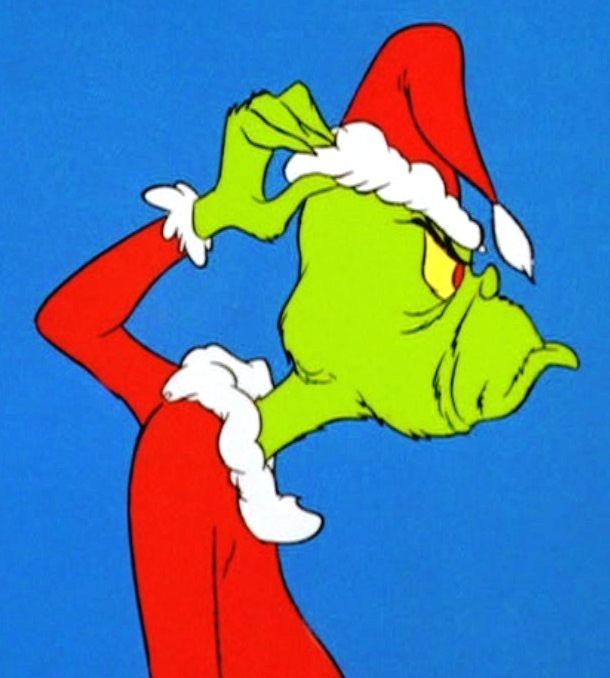 Like the Grinch, adolescents need to learn that Christmas isn’t about their own happiness. Christmas – perhaps – means something more. . .